Two of the most important women in "Twin Peaks" history returned in Part 12, and suddenly the revival got even more mysterious and addictive. It’s been the question on the mind of nearly every “Twin Peaks” fan since the revival kicked off in May: When will Audrey Horne return? Up until last night, the character had only been mentioned in Part 7, when it was revealed she fell into a coma following the bank explosion and that Evil Cooper may have assaulted her in the hospital. But how exactly would Audrey return in the flesh? As each episode aired without a trace of everyone’s favorite Horne, it seemed more and more likely David Lynch and Mark Frost were building to some kind of series-defining reveal. Naturally, they delivered the exact opposite. Audrey Horne finally appeared 37 minutes into Part 12, though “suddenly appeared” is probably the best way to describe what happened. We were finishing up another broadcasted rant from Dr. Lawrence Jacoby when Lynch suddenly smash cut to Audrey, standing in front of a crackling fire looking fed up and staring at a man seated behind a desk that we’ve never met before. Her introduction was so anti-climactic and random that you’d be forgiven for doing a double take and asking yourself if this was really the moment you had been waiting for. Lynch’s genius as a director is often denying the viewer an experience they desperately want, only to provide them with an alternative one far more surprising then they could’ve ever imagined. Audrey’s introduction in “Twin Peaks: The Return” speaks directly to this strength. Lynch and Frost intentionally put Audrey’s debut not after some pivotal sequence involving Cooper or Gordon Cole, but after another tiresome Jacoby speech that probably had some viewers on the edge of checking out. Smash cutting so bluntly to the revival’s most anticipated character return was a head-turning shock, and it made Horne’s first appearance an unpredictable affair. We always knew the revival would get a jolt of energy whenever Audrey showed up, but few could’ve predicted it would be carried out this way. Not only was the cut to Audrey a shock, but so too was the Audrey we met. The woman who once epitomized “Twin Peaks” cool was now sour and distressed. The more tidbits Lynch provided about Audrey’s new life — she’s unhappily married and openly despises her husband Charlie and she’s been having an affair with a man named Billy — the more Audrey became an unfamiliar presence. If that smash cut meant anything, it was a warning that Lynch and Frost wouldn’t be reintroducing an old character, but rather introducing a new one entirely. We have two Cooper’s in this revival, and now it appears we have two Audrey’s as well. As a result, a new dramatic goal has been created for “Twin Peaks: The Return.” Will we ever see the Audrey we all know and love again? Perhaps when her and Dougie/Good Cooper lay eyes on each other they’ll return to who they once were. Regardless, Audrey shook up everything we were expecting and gave “Twin Peaks” a new boost heading into the final six episodes. 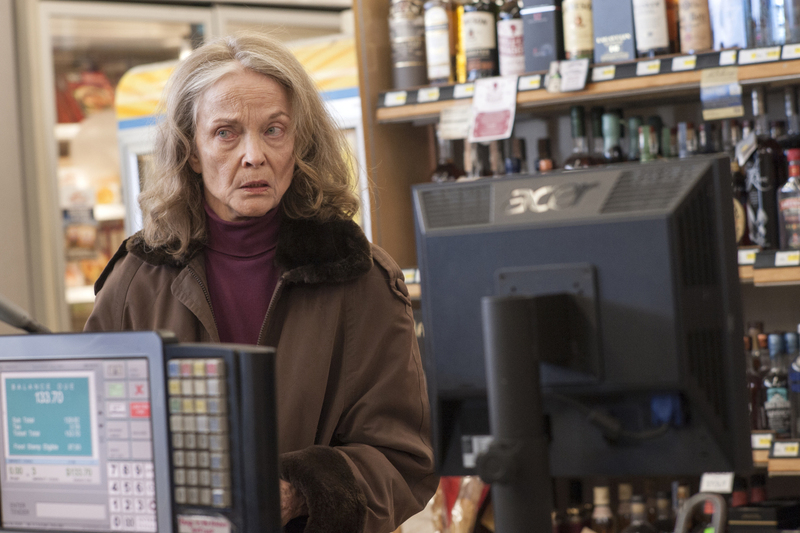 The same could be said for Sarah Palmer, still played with an unnerving edge by Grace Zabriskie. The mother of Laura Palmer appeared very briefly at the start of the revival, but Part 12 brought her back into the spotlight in a transfixing and tragic way. Palmer reappeared in the local grocery store where she was buying liquor and cigarettes. When she spotted beef jerky behind the check out counter, Sarah’s mind suddenly became tangled and agitated. “Something happened to me, and I don’t feel good,” she mumbled. Later in the episode, Hawk went to visit the Palmer household and heard a strange noise banging inside, one Sarah assured him was nothing. Her paranoid facial expression hinted she was lying, and thus another mystery was injected into “Twin Peaks: The Revival.” Whatever is happening inside the Palmer household and inside Sarah’s mind is definitely of interest, but what Zabriskie achieves so powerfully in her appearance here is a tragic depiction of inescapable grief. Twenty-five years later, Sarah is still haunted by the murder of her daughter at the hands of her possessed husband. Here is a woman stuck in time, forever cursed with the burden of her family’s ghosts (perhaps quite literally, depending on what that noise is coming from her kitchen). 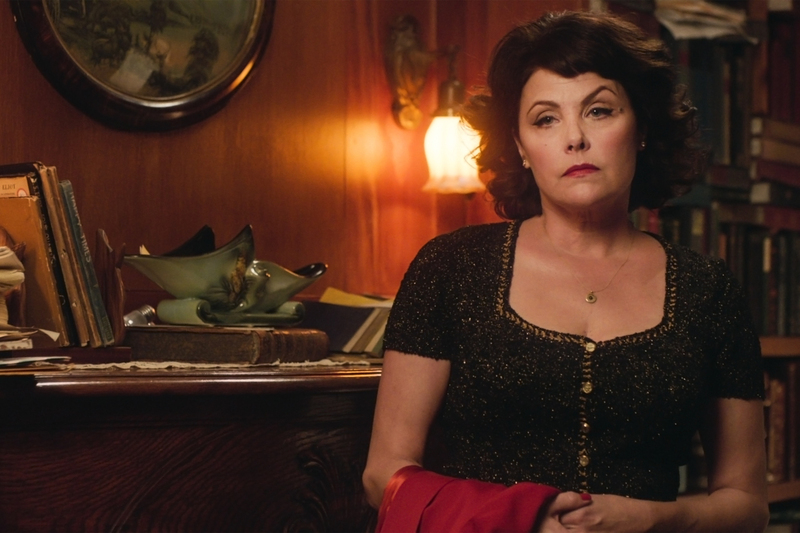 There are only six episodes of “Twin Peaks: The Return” left, and Lynch and Frost have added the well-beings and fates of Audrey Horne and Sarah Palmer onto the very, very long list of things that need to get tied of. Of course, this being “Twin Peaks,” we doubt we’ll be getting any closure in the traditional sense, but the possibility of it has given the revival a new jolt of life heading into the homestretch.